Joel Osteen Wife, Son And Daughter, Family, Is He Divorcing? Home Media Personalities Joel Osteen Wife, Son And Daughter, Family, Is He Divorcing? Joel Osteen is an American Christian minister, best-selling author and one of the world’s foremost televangelists. As senior pastor of the Lakewood Church, Osteen heads one of the largest Christian congregations in the US. Based in Houston, Texas. His weekly sermons are televised to millions of viewers in over a hundred countries all over the world. His religious teachings and messages are also broadcast 24/7 via satellite radio on SiriusXM channel 128. Author of 7 Best Sellers, Joel Osteen’s first book Your Best Life Now published in 2004 debuted at No. 1 of the New York Times Best Seller list. Over the years, he has gained a reputation as one of the champions of the prosperity gospel and the preacher has remained steadfast in the propagation of this doctrine. Joel Osteen was born Joel Scott Osteen on March 5, 1963, in Houston, Texas. His mother, Dolores Ann (née Pilgrim) worked as a nurse and his father John Osteen was a Southern Baptist pastor and later founded the Lakewood Church, which Joel currently heads. He had his high school education at Humble High School, located in Humble, Texas. For his college education, he enrolled to study radio and television communications at Oral Roberts University, however, he did not complete his degree. He returned home after one year of college and began to serve as the producer of the ministry’s Lakewood’s television program. 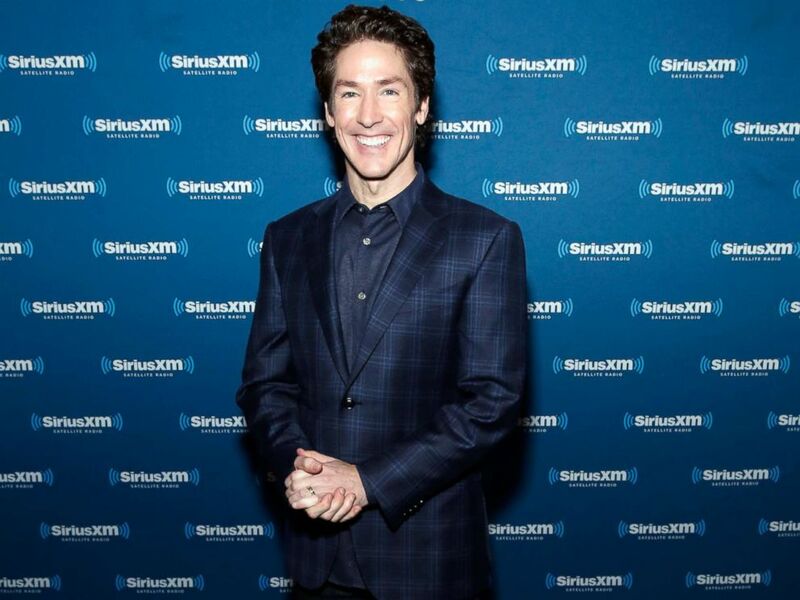 Joel Osteen maintained this crucial behind-the-scenes role for 17 years even though he was encouraged by his father to join him in preaching. He eventually preached his very first sermon on January 17, 1999, 6 days before the death of his father. Following his father’s sudden demise, Osteen replaced his father as the regular preacher on the Lakewood’s program and much later in the year, he was inaugurated as the senior pastor of the Lakewood Church. Lakewood Church has now become one of the largest Christian congregations in the United States, having grown from a membership of 5000 to an average of 52,000 attendees per week. In 2003, the church procured the Compaq Center, the former home ground of NBA side Houston Rockets. The former Compaq Center has now been renamed to the Lakewood Church Central Campus and was officially opened in 2005. Joel Osteen released his first book Your Best Life Now: 7 Steps to Living at Your Full Potential in October 2004 which topped The New York Times Best Seller list and remained on the bestseller list for well over 2 years. According to Osteen, he relies mainly on income from his books and materials as he earns no salary from the church. In the wake of the Hurricane Harvey which rocked Houston in August 2017, Joel Osteen faced widespread criticisms for his initial reluctance to provide his megachurch auditorium as an emergency shelter for victims of the disaster. Joel Osteen’s father John Osteen died of a heart attack on January 23, 1999, at age 77. He has 5 siblings, all of whom are involved in Christian ministry; Justin, Paul, Lisa, April, and Tamara. His mother Dodie Osteen released her memoir “If My Heart Could Talk: A Story of Family, Faith, and Miracles” in April 2017. Joel Osteen is currently married to his wife of over 3 decades and partner in ministry Victoria Osteen (née Iloff). The couple met back in 1985 when Joel came to buy a new watch battery from a jewelry store owned by Victoria’s mother. The rest is history as the couple eventually tied the knot on April 4, 1987. Born in Huntsville, Alabama, Victoria moved to Houston with her family when her engineer father took up a position with the NASA Space Center in Houston. Victoria Osteen is a co-pastor at the Lakewood Church and in 2003, she founded the Lakewood Women’s Ministry. Also an author, Mrs. Osteen released her first book Love Your Life: Living Happy, Healthy, and Whole in 2008 and it debuted at No. 2 of the New York Times Best Seller list. Joel and Victoria Osteen have 2 children and have been married for over 30 years. The couple welcomed their son Jonathan on April 20, 1995, and their daughter Alexandra was born on November 9, 1999. Both of the Osteen kids studied at the University of Texas at Austin. Jonathan Osteen graduated in May 2017. The Osteens attended the 2010 Easter breakfast hosted at the White House by then-US President Barack Obama. Over the years, the couple has come under intense scrutiny over some pertinent matters, however, there have been no speculations of a divorce or separation.